A Map of the Island of St. John In the Gulf of St. Laurence. Mackinlay's map of the Province of Nova Scotia, including the island of Cape Breton. 1 : 570240 Mackinlay, A. 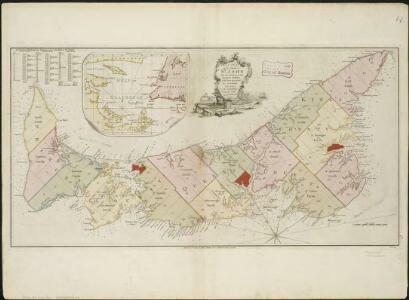 & W.
Belcher's map of the Province of Nova Scotia, Including the Island of Cape Breton. Nova Scotia, New Brunswick, Canada. Coal Resources of the World. 1 : 2218000 McInnes, William; Leach, W.W.; Dowling, D.B. Church's mineral map of Nova Scotia. Nova Scotia, New Brunswick, and Prince Edward Island. Nova Scotia, New Brunswick, and Prince Edward Island. Quebec. 1 : 1916000 Hammond, C.S. 1 : 4200000 New England Railway Publishing Co.